With the Gulf Stream just 12 -15 miles away, Hatteras Village is known for some of the best charter fishing on the North Carolina coast. 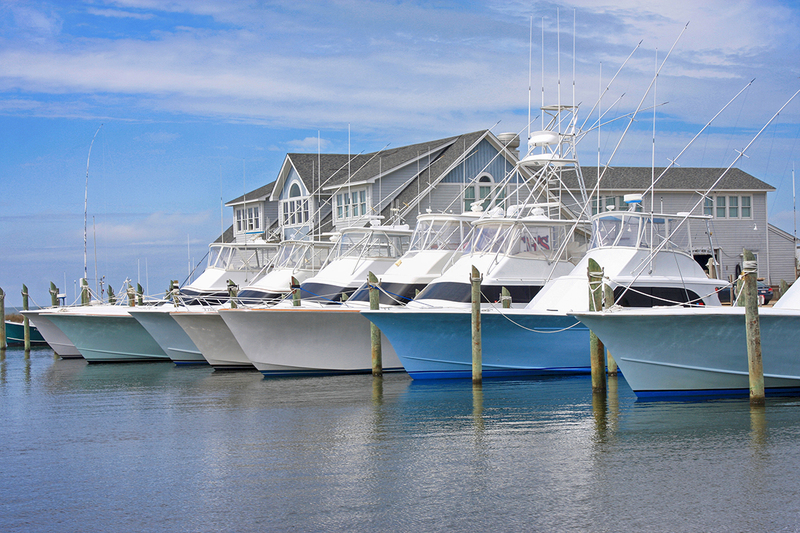 This small village has more marinas than anywhere else on the Outer Banks. Hatteras Village also has an array of galleries, shops and restaurants. Take a self-guided walking or bicycle tour through the village and you’ll be greeted by beautiful historic homes and lavish seasonal gardens. Visitors can also board the free ferry to neighboring Ocracoke Island for a lovely day trip.